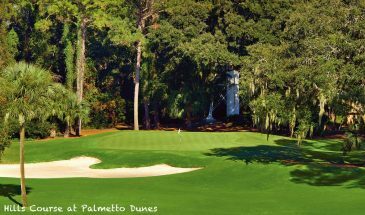 The beautiful holiday island of Hilton Head is an outstanding golf destination with many great courses including the well respected Harbour Town Golf Links which hosts the Heritage Tournament on the PGA Tour each year. 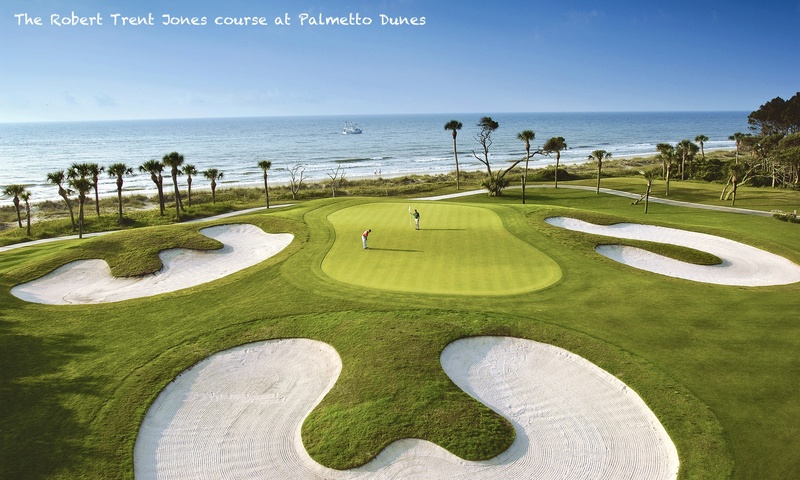 The focal point for golf is at the southern end of the island with Palmetto Dunes Resort and Sea Pines Resort featuring six of the very top courses on the island. 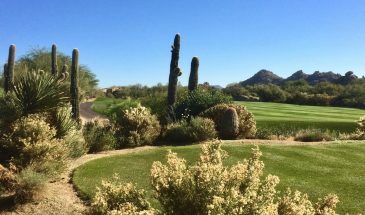 But there are plenty of other quality golf courses available for public play on the island as well as a handful just off the island. 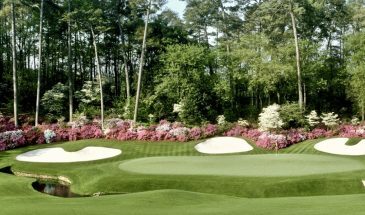 See our Hilton Head golf page for more details. At the southern end of the island, Sea Pines Resort offers a wide range of villas and homes as well as the upscale Inn & Club at Harbour Town. It is one of two all encompassing ocean front resorts comprising wide range of accommodation, shops, dining and attractions featured. The other such resort is Palmetto Dunes Resort. This offers a range of villas and homes as well as the oceanfront OMNI Hotel. 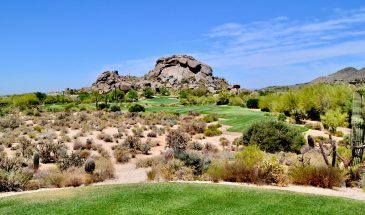 Accommodation includes resort, golf course and ocean view options. The Westin Hilton Head Resort & Spa is our other ocean front hotel. The Westin is located within Port Royal Plantation towards the north of the island, close to Hilton Head Airport. Take a look at our Hilton Head Accommodation Page for more information on these resorts. Hilton Head Island is a quite unique holiday destination situated at the southern end of the South Carolina coast. Nature and the environment is king, so you won’t see towering buildings, bright street lights, bill boards or other signs of commercialism. 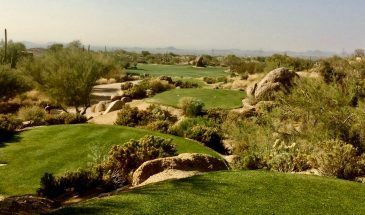 Unlike much of America you will find no shortage of pedestrian footpaths, nature trails, bike paths and so forth and bike rental is cheap and easy to find. 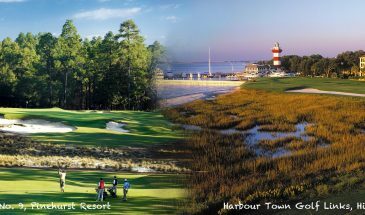 The inspiration for Hilton Head comes from the original owner and developer of Sea Pines Resort at the southern end of the island. This 5000 acre private gated community is bordered by the Atlantic Ocean on one side and the Calibogue Sound on the other. 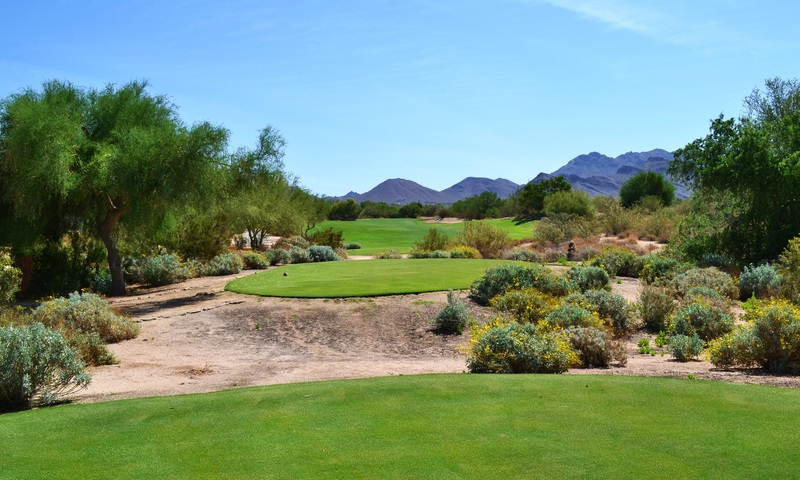 The resort is home to three wonderful public golf courses. 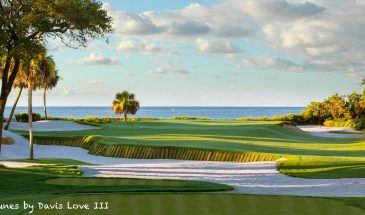 The newly remodelled Atlantic Dunes Course, Heron Point and Harbour Town Golf Links, home of the Heritage Tournament on the PGA Tour which is held each year the week after the Masters. 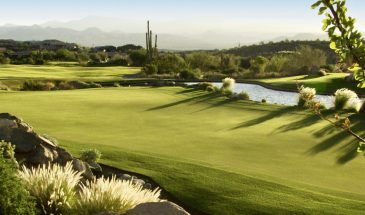 There is also a private golf course within the resort. 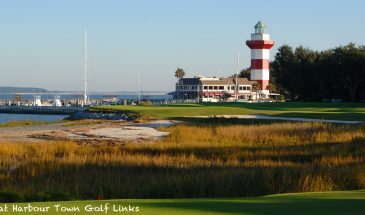 The focal point of the resort is the Inn & Club at Harbour Town. Situated just a short walk from Harbour Town Marina with it’s symbolic ‘candy striped’ lighthouse, boutique shops, restaurants and bars. See our Sea Pines Resort page for more details. Elsewhere on the island, there are a number of popular spots that attract visitors and locals alike. Just north of Sea Pines Resort bordering the Atlantic Ocean is Coligny Beach with it’s public beach access and Coligny Plaza, a sprawling development of shops, restaurants and bars. Just off the Intracoastal Waterway is Shelter Cove Marina which is another popular dining spot. Apart from the shopping and dining, Shelter Cover Marina also offers adventure cruises and fishing charters. See our Hilton Head Attractions page for more details. For a quieter location with a local feel, visit Palmetto Bay Marina with its small collection of shops and restaurants. Hilton Head is renowned for its fine dining and apart from the marina restaurants there are any number of other excellent restaurants to suit all tastes and budgets. Some of our favourties include Captain Woody’s, a locals bar (and one of our favourite haunts) located close to Publix near Sea Pines Circle. If you fancy French cuisine then Charlie’s L’Etoile Vert is a must where the menu changes daily depending on the catch. If you like Asian cuisine then we recommend VariAsian and Asian Bistro. 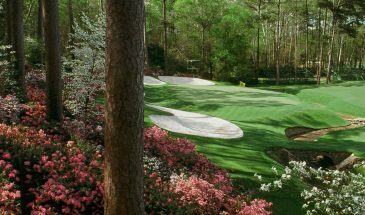 Hilton head Island is known for it’s golf yet there are plenty of other activities and attractions. Tennis is popular and there are a number of top facilities on the island including at our featured resorts. The beaches and marinas are centres for a variety of water based activities as well as shopping and dining. This includes fishing trips, dinner cruises, boat rentals, nature excursions and water sports. Take a look at our Hilton Head Attractions page for more details. The summer beach trade brings in the most visitors and as such July and August can be very busy.